Why do you need Local Search Optimization? In a world where local business SEO is constantly changing, you need to be ahead of your competition in implementing these important SEO techniques that will make you stand out in local search. For local SEO services, it is important not only to look at your website, but look beyond your website. You should be looking to list yourself in local directories, maps, review sites, connecting with other local companies, and more. Of all the pieces of an online marketing campaign, this one may be the most important. A vast majority of shoppers (around 80%) use Google to find local businesses. Research shows that these shoppers will shop for products online but them buy them at a local location. Let your customers know that you’re not only close to them, but that you have what they need. Look what the pros are saying! Local search SEO is likely one of the most important areas of focus for small businesses with physical locations, or small businesses working to get traffic to their stores and sites locally. More importantly, local SEO is not going away, if anything the signs are increasing for the importance of optimizing your site for local searches. Thus it is important that small business SEO services include a local strategy. We will claim your “Google My Business” account (formerly known as a Google Places, Google Maps and a Google+ business account, but now implements all of these features in one area). We will optimize your account for local searches in your targeted Utah area, including relevant videos, images, and highly locally targeted keywords to make sure your presence is suitable for the search engine results as well as for you. Invest in one of our customized SEO service packages and let us take care of the tedious work that will set you up for success in the eyes of Google. Let us setup your Bing Places account for optimal views in the search engines. Using relevant categories, creating a title that is compelling, and the description is vital to showing up in local search results. Activating this business listing is another place where your business can thrive in local search results. Not only are these two local places (Google and Bing directories) accounts critical to your business, but there are many other local directories that you need to list your business on. These include Yelp, Yellow Pages, City Search, and more. These listings need to list your business as well as be optimized for searches, so that if I am searching for a “Local SEO Company” I will be able to find your listing in these places. GeoTagging includes adding location coordinates to digital images so they can be correctly placed on a digital map. 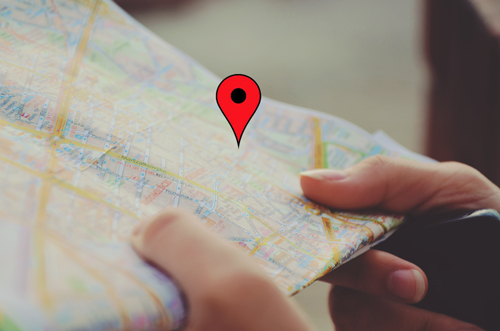 Adding these location coordinates can allow your images to show up above others in search engines, and can be used for websites, videos, photos, and more. With the correct geotagging of your site and images, you can show up for the terms you want locally. Not many local SEO companies offer this service or have implemented this service in their local SEO strategies, as it is one of the newer strategies, but we believe it is extremely important. Having reviews on all your local business listings is another way to show up favorably to search engines. By implementing a plan to curate reviews and offering incentives to your clients, we can strategize together a way to get the right amount of reviews that Google loves as easily as possible for the optimal SEO local results. It is important to engage with your customers online. We can harness the power of reviews by making sure to align your review standard with what the search engines are looking for. Respond to reviews, try to satisfy negative reviews, and acknowledge concerns of your customers on this front to increase customer satisfaction and traffic to your website. Relevant links to your site can do wonders for local SEO. Our goal is to get your community talking about you, get the industry leaders in your area linking to your site because you have quality and authoritative content. We want to build high-quality, relevant links to your site that can drive your traffic up and get your local community recognizing you and coming to you for industry new, advice, and services. Are you not quite sure what local SEO service you would like, or need some advice on how to implement search strategies within your business? We also offer SEO consultations to our clients and to companies who need an outside view on a better process to get the most out of marketing their website online. We can create a plan for you to succeed based on our research of your competitors, utilizing your website, and creating a high-quality list of keywords to go after for your strategies. Local search also can be strengthened with social media, where there is room to create a conversation between you and your customers, interact with them, and gain more rapport through questioning, answering, promoting giveaways, and telling your customers about upcoming local events. Your social media profile can be optimized for local search and add the extra bump you need to be seen in the seach engines. When choosing a Utah SEO Company it is important to research all the different types of companies and what services they provide. It is also important to see what types of companies they usually service, and if they have experience in your market. Ask as many questions up front and get to know the company you want to work with so that your needs are aligned with theirs and you can both work to get the results that you want within an affordable budget. As you can see, there are a variety of options when it comes to optimizing your site and your web presence for local search, and as we speak to you, we can create a custom package that implements the areas that you need the most, and utilizes what you already have created. Can your local customers find you?